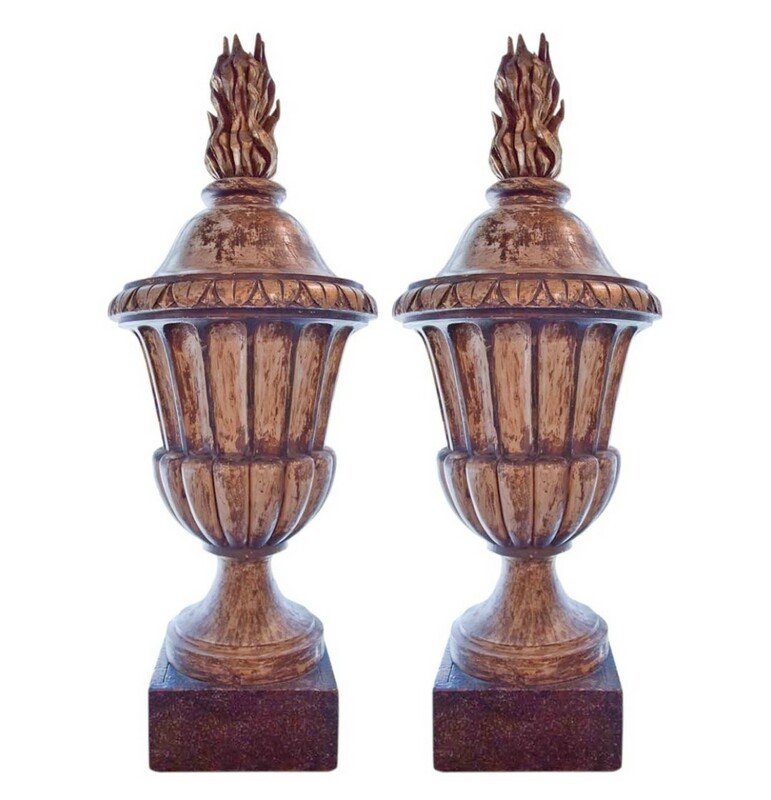 Pair of Italian Neoclassical carved wooden urns. Painted and gilded finish. Square base 13.5”.